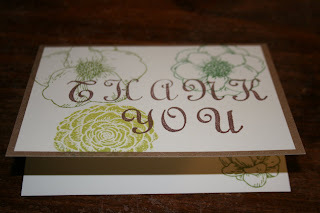 Now that we've receieved a few engagement gifts, I've been writing several thank you cards and I thought I would do a little post on them. 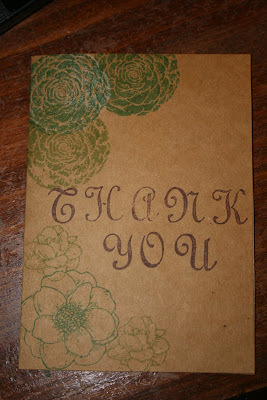 I really think it is so thoughtful when someone puts time into their thank you. 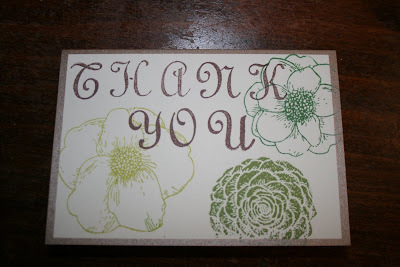 Whether it's choosing a nice personalized card or writing really heart-felt words, I think you should always put in a little extra when you are sending words of appreciation. 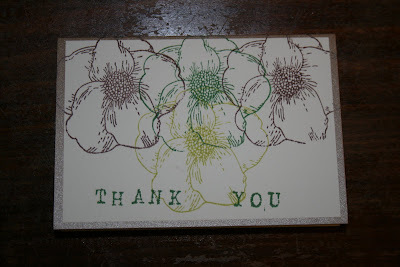 I sat down one evening and made a little series of hand stamped cards. 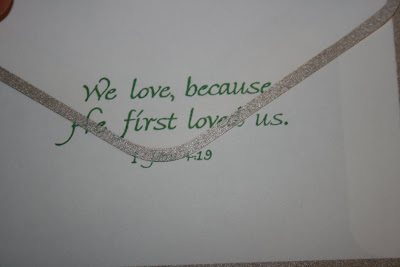 I did go out and later buy a set of thank you cards that I can use when in a pinch, but I am excited about using hand made cards for friends and family who are contributing toward the wedding. 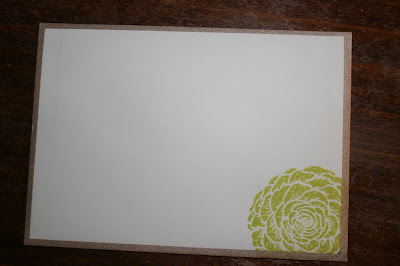 I used stamps and blank cards by Martha Stewart, and I am even thinking of using the same stamps on the invitations! 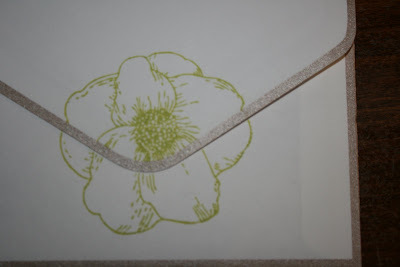 a thank you card I made for my aunt when she hosted our engagement party... perhaps I can use the stamps in a similar manner as this for the invitations?